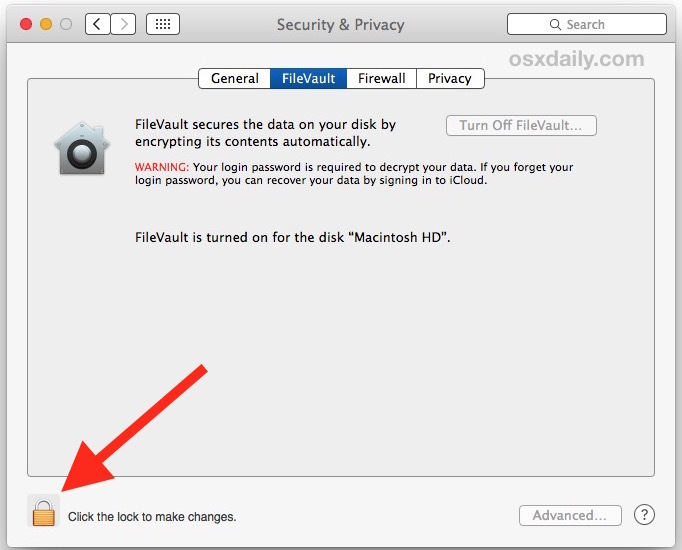 While enabling and using FileVault disk encryption is highly recommended for security-conscious Mac users with modern hardware and SSD volumes, some users may decide they do not need to use FileVault for a variety of reasons, or perhaps they just want to disable it for another purpose. That’s what we’re going to demonstrate here, disabling FileVault and therefore decrypting the hard drive and all of it’s contents. One of the most common reason to turn off FileVault is duplicate a drive, and yet another is that some users may discover a performance hit to their computer which makes it impractical or annoying to leave implemented. Such a performance hit is rare with new Macs, but some older Macs with spinning hard drives and older versions of Mac OS X may discover a noticeable slowdown with the encryption feature enabled, which is obviously less than desirable. It should go without saying, but keep in mind that turning off FileVault disables the drive encryption completely, which means a committed unauthorized individual could theoretically access files if they had access to your Mac. Whether or not that concerns you is up to you, your security and privacy desires, and your usage environment. 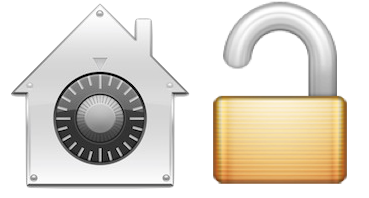 Additionally, if you simply need to bypass FileVault on a per reboot basis, the method outlined here achieves that without completely turning off the feature as we’ll demonstrate in the walkthrough below. 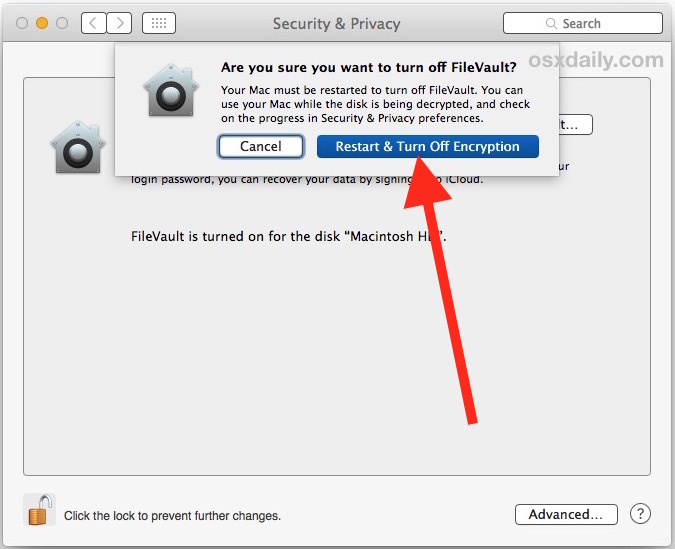 The Mac will automatically reboot and begin the decryption process, which is necessary to disable FileVault. Decrypting the drive can take quite a while or may go quickly, depending on the speed of the Mac, the speed of the disk drive (SSD is much faster than HDD), how large the drive is, and how much stuff you have you stored on it. As the alert dialog indicates, you can use the Mac while the drive is being decrypted, but things will undoubtedly perform slower and feel sluggish, so it’s often best to disable encryption when you aren’t going to use the Mac for a while, perhaps leaving it to decrypt overnight or at the start of a weekend. If you have a large drive with a large amount of storage on a slower Mac, be prepared to wait a while for the decryption to complete. You can check the drive decryption process status in the Security > FileVault preference area, and of course you can always re-enable FileVault again if you decide to use disk encryption on the Mac in the future. 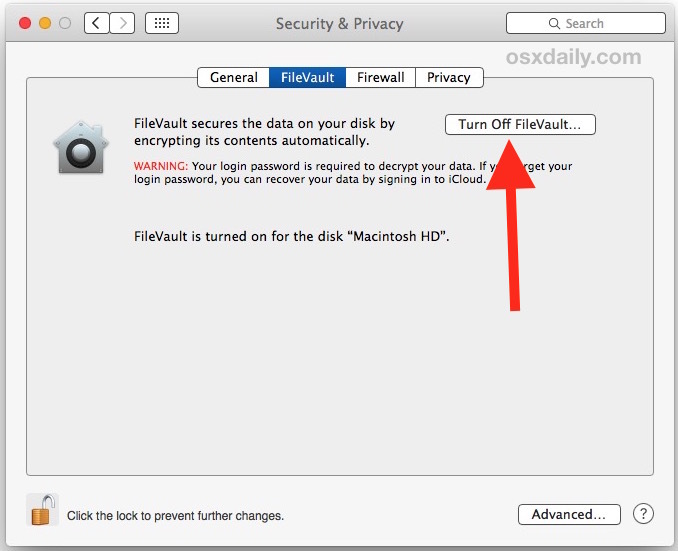 If you are going to turn off Filevault and decrypt a Mac this way, you should at least set a lock screen password and have a screen saver activate after a reasonable period of inactivity. While that method is not nearly as secure as FileVault, it at least offers a mandatory authentication before an unauthorized user or snooper could gain access to a physical Mac that has been left alone. Unless of course you use Mac OS’s ability to encrypt those drives as well, which you can. In fact I encrypted my external SSD drives before I encrypted my MacBook Air SSD. I figured it was more likely I could loose (or leave unattended) my backup. Later my security obsession led me to encrypt my laptop as well. (BTW SuperDuper is my go to backup engine). Mine is turned off. It still requires me to Log In. I go to my Windows while waiting for MacOS Sierra 10.12.2 to load up. I have one of each due to the constant arguments.